Beauty Bungalow Signature Facial | Get the best facial Tampa Bay! Purify, exfoliate, hydrate, and repair. Our classic facial treatment that’s anything but basic. Get the best facial Tampa Bay! Includes microdermabrasion, gua sha face massage and pore cleansing oxygen infusion for super glowy skin. The Beauty Bungalow signature facial uses the best of nature and science to meet the skincare goals of men and women of all ages. 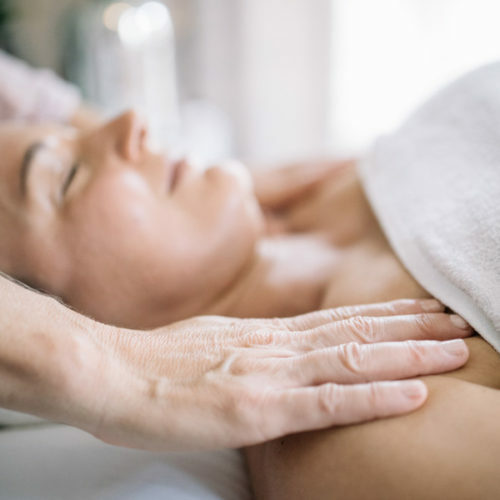 This treatment takes a clinical yet organic approach to skincare by combining skilled extractions, powerful natural antioxidants and lifting, draining, contouring gua sha facial massage. Facial treatments can help slow down the aging process and prevent the appearance of wrinkles…. It’s never too early to take good care of your skin! Your Beauty Bungalow esthetician will analyze and talk with you about your skin before each treatment. After service, we always offer education on home care products to help you achieve the best skin of your life. Proudly nominated Best of the Tampa Bay. Beauty Bungalow Signature Facial will improve skin radiance. Beauty Bungalow Signature Facial will reduce fine lines. Beauty Bungalow Signature Facial will soothe sensitive skin. Beauty Bungalow Signature Facial will help with lymphatic drainage for cellular detoxification. Beauty Bungalow Signature Facial will refine skin texture, therefore, making it smooth and soft. Beauty Bungalow Signature Facial is suitable for all skin types. Beauty Bungalow Signature Facial is the ideal option for facial first timers. Sunscreen – check, moisturizer – check. How good are you really to your skin?